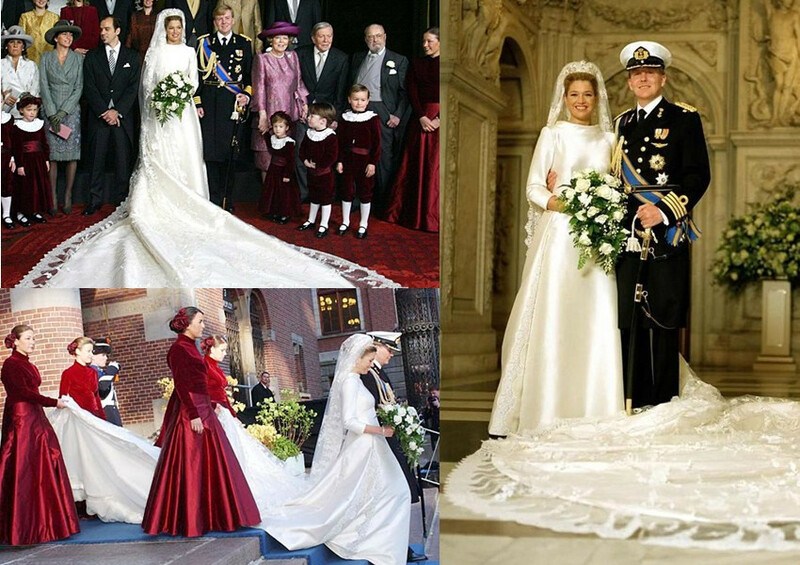 Not only much publicity is given to royal weddings, but the wedding dresses win everyone’s attention. 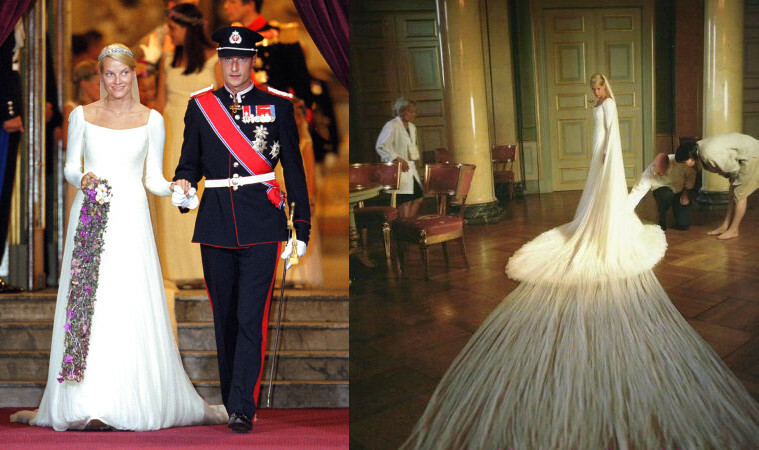 In addition to Princess Diana’s classic wedding dress, there are other gorgeous wedding dresses. 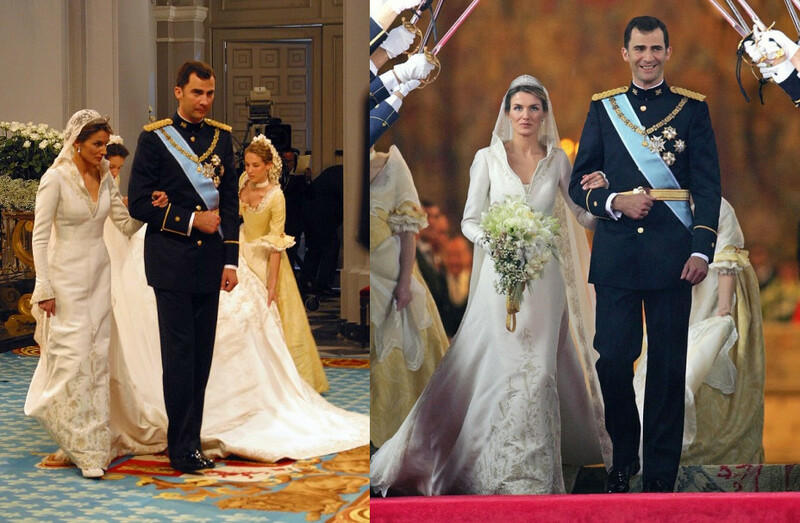 Letizia Ortiz, the queen of Spain, wore a magnificent dress which has unique neck design. This design highlighted her slim neckline and balanced with the lower hem. Ortiz loves complicated patterns. Subtle carved lace, printed patterns and first-class craft make Ortiz look elegant and dignified. Catherine, Duchess of Cambridge, wore a long-sleeved lace wedding dress. It is made of thick silk satin and lace. The lace was handmade and was sawn by hands afterwards. The floral lace includes roses, narcissus and other patterns. This stunning dress is three meters long and decided by Sarah Burton. 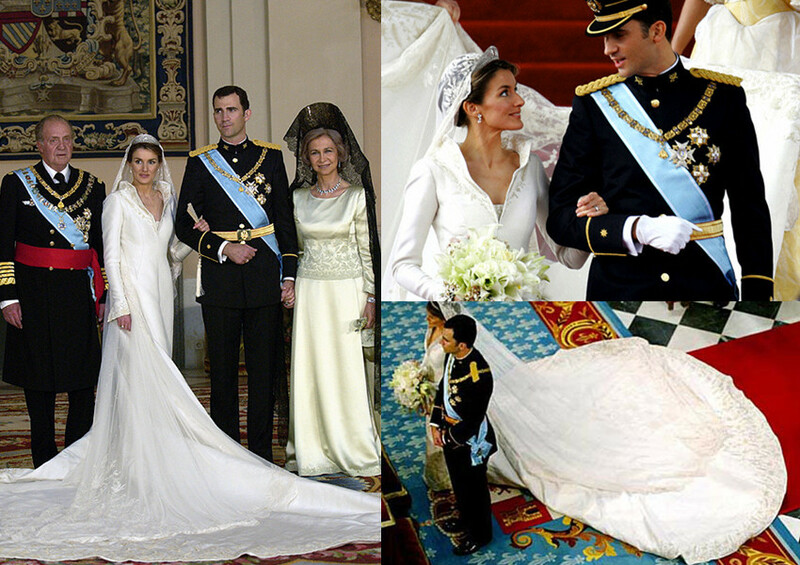 This princess wedding dress suited Catherine the best. It managed to combine romance and elegance. Transparent long-sleeved lace dress is suitable for a church wedding, which is solemn and graceful. Queen Máxima of the Netherlands married her loved one in Amsterdam in 2002. She wore a long-sleeved ivory wedding dress by Valentino. The train was embroidered with flowers. Her crown was specially designed for the wedding. Wedding flower bouquets are specially designed for this memorable occasion. Hers is no exception. It had white roses, gardenias and lilies. Mette-Marit, Crown Princess of Norway, got the inspiration from Maud, queen of Norway. 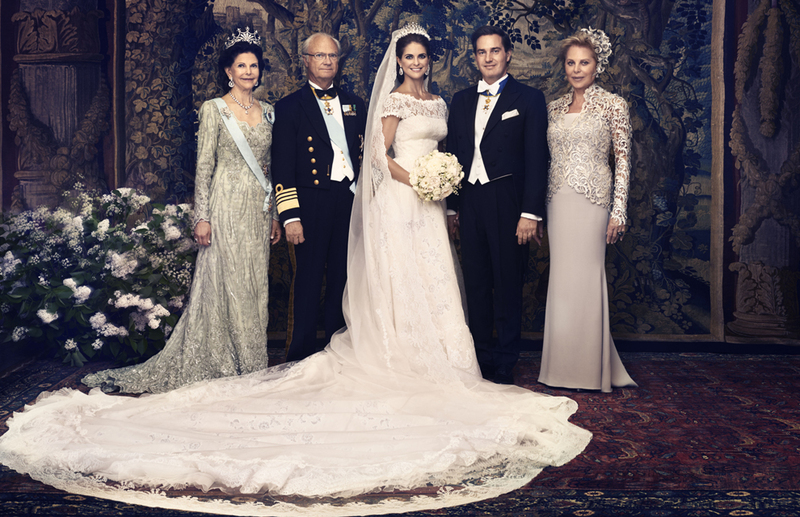 This wedding dress was made by designer Ove Harder Finseth and Anna Bratland. They used silk crepe and soft silk yarn. Its train was 2 meters long and the veil was 6 meters long and made of silk. She probably had one of the longest wedding veils. 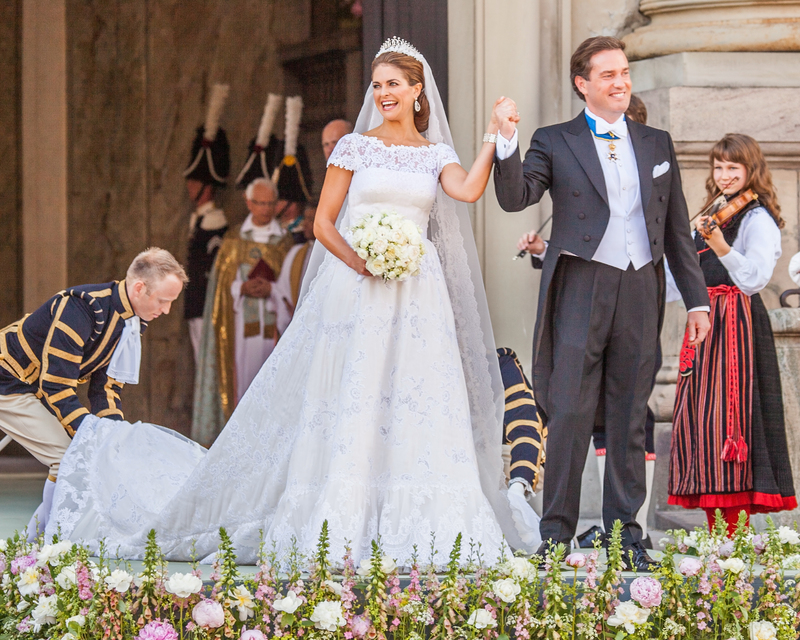 The most beautiful princess of Europe, Princess Madeleine of Sweden got married in 2013. A pure white wedding dress added more romance to her wedding. Like many other brides, Madeleine loved boat neck which showed her collarbones gracefully. The well-made lace of the dress must be widely welcomed by many brides.